Two things please. 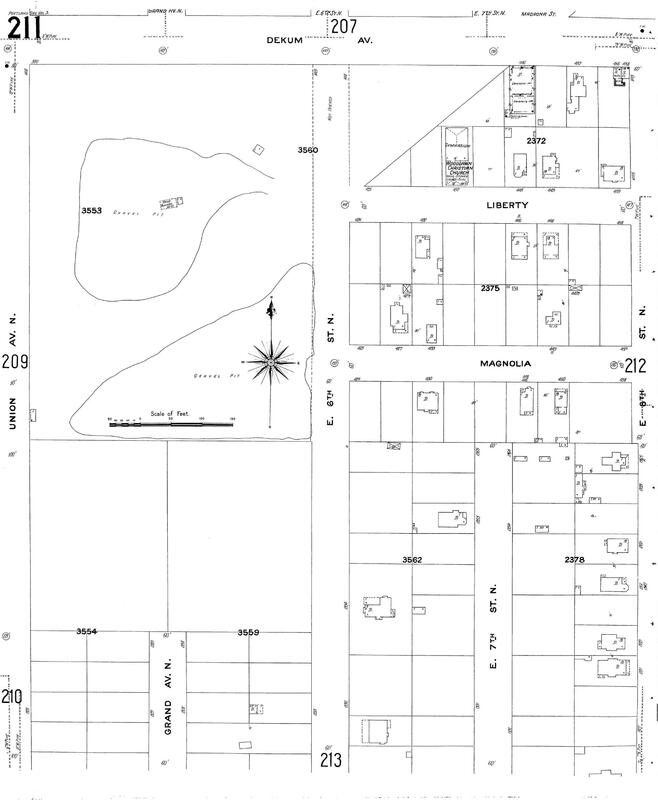 1st- I would like to know my home’s history at 2503 NE Dunckley. 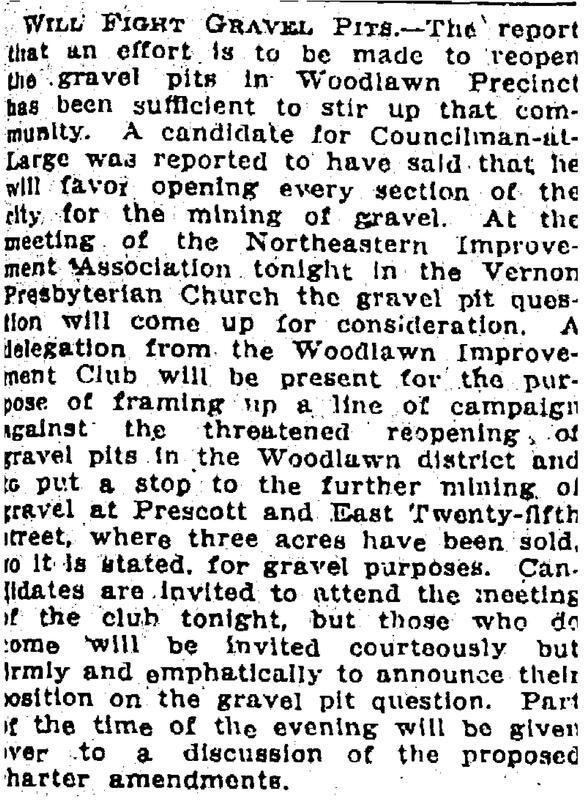 2nd- As we are right close to 25th & Prescott, I’d lovr to see the extent of the gravel pit you described today. Thanks. Hi Craig. 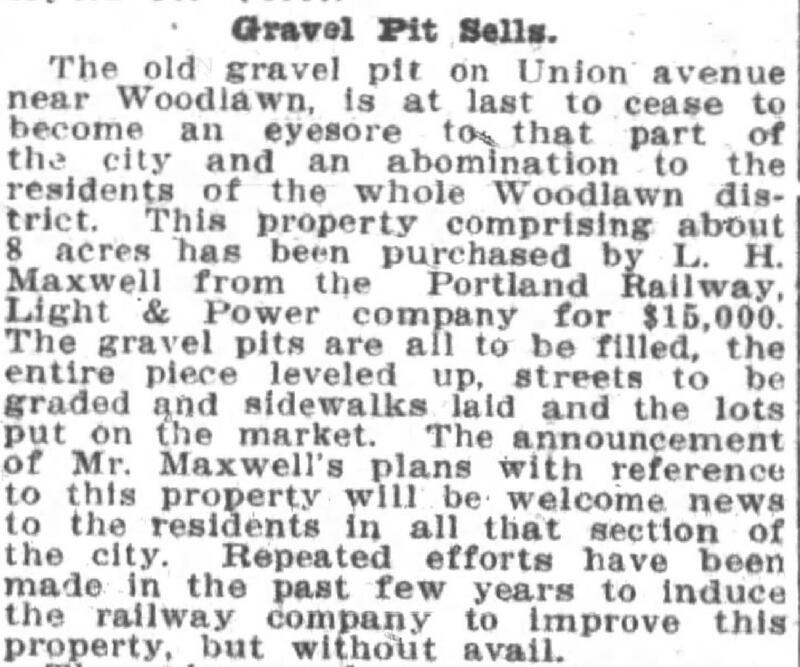 The reference to the pit at 25th and Prescott was the first I have ever heard of this. Looking at the area today, you would never know. 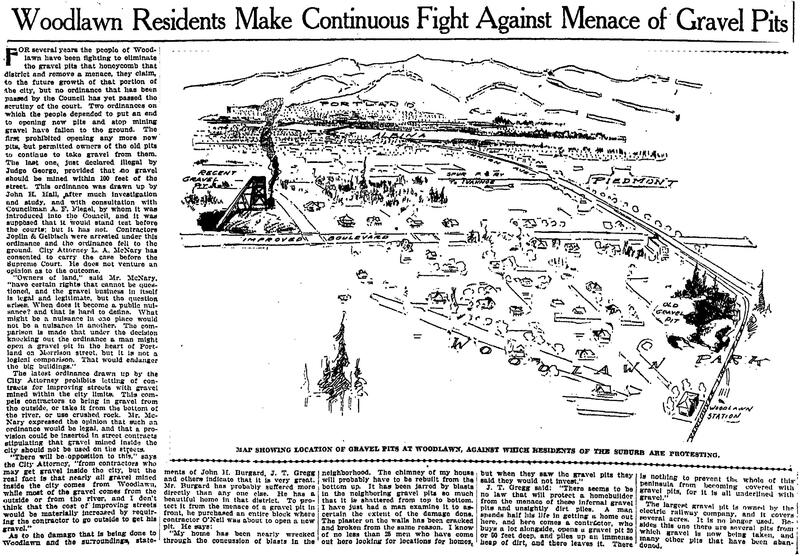 But it was three acres in size (the size of three football fields), so it must have been notable. I will stay on the lookout for other references as I continue my research, and welcome anything anyone else can add. It’s fun. I’m glad to be a devil’s advocate if you get stuck.